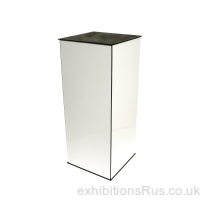 A variety of quick and easily assembled display plinths, podiums and pedestals available in various loop nylon fabric colours, beech effect laminates, coloured acrylics, high resolution graphics to brand your plinth and high tech, stylish aluminium laminates for an ultra modern look. 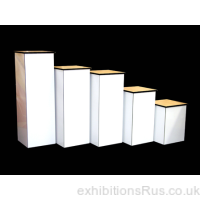 These units come in various styles, physique, fold flat and flat panel, a range of sizes and heights and also with a choice of tops in either beech, graphics, white or black. 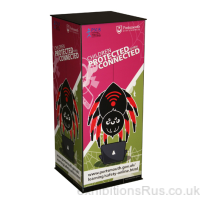 Made in various substrates, Mdf tamber, aluminium board, Pvc and acrylic, all combined with industrial strength velcros, hinges or poles to form the structure and give it substance. 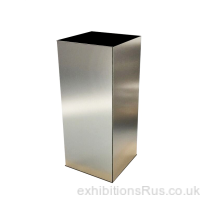 Some these display plinth units can take some serious weight loads - starting at 40 kilos but for some up to 80 kgs is possible. 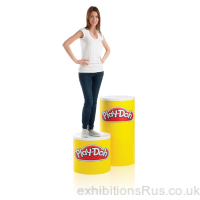 Our smallest physique plinth is frequently used to stand on while hanging graphics from pop up displays. 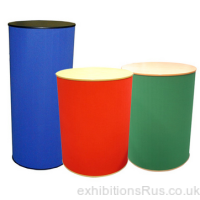 UK manufactured to the highest quality as standard. 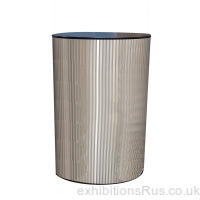 Group sets encompass the cleverly linked multi height crescent sets, cut outs allow the plinths to link together. 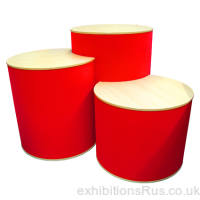 We can even build to your specified heights with our custom build service, please call to enquire about production times. 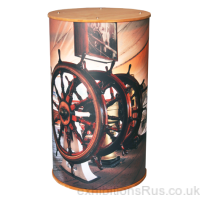 Designed for use at exhibitions, trade shows, showrooms and in the retail environment, great for product display as a pedestal. 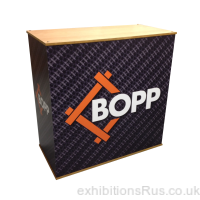 Being portable display plinths every range is made for the quickest and simplest assembly method once your are at your exhibition or event, instruction sheets are on our site. 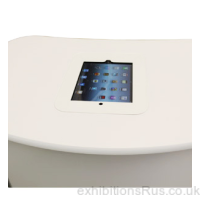 Ipad Holder - set into counter tops.